NUTRANITE™ Is a luxurious nutrient-rich night cream that helps renew the skin while you sleep. It repairs the damages caused by dehydration and exposures during the day to give a supple and renewed skin. This is my first night cream and I bought this just to see how a night cream differs from regular moisturizer. I included this in my skin care regimen a month ago giving me sufficient time for this review. I used Lacto Calamine face-wash and Fab India Lavender toner in combination with this night cream. Fragrance: Delicious fruity smell...kind of pomegranate. It's mild and not at all overwhelming. Texture: It's smooth and creamy. Spreads easily on skin and absorbed well when massaged with finger tips. Only little quantity is required for the entire face. 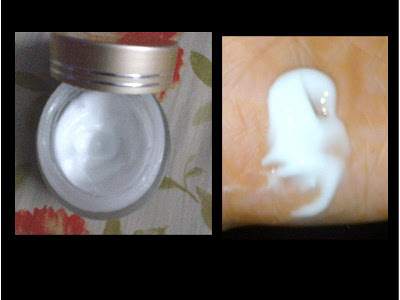 Moisturization: After application skin feels soft, supple and little sticky but for night it's completely acceptable as it does provide moisturization whole night. It's sticky but not oily. Though I have normal to dry skin I prefer non oily moisturizers only. So it's perfect for me as a moisturizer at night. I wouldn't suggest this as a day cream but once I ran out of day cream and I applied very little amount of Nutranite and set it with compact. It didn't cause any oiliness and the moisturization lasted for 5 hours in dry winter. In summers I wouldn't even have dared to try it. Skin Renewal: I don't have any skin problems expect for little dryness around lips and I used to apply regular moisturizer before going to bed. When I read this claim all I expected was smoother skin day by day. Nutranite does make my skin look smooth, taut and kind of glowy when I woke up, but after bath it's back to normal. I didn't even see any improvement in my skin on regular usage. Ingredients List: Active ingredients are Ginseng extracts and fruity acids from grape. Packaging: As you can see from the picture it comes in a sturdy glass jar which is unhygienic as we have to dip our fingers always. But considering the fact that it is a night cream one can always wash their hands before using the cream or use a spatula to scoop out. So ignoring the packaging. Overall Efficacy: To be honest this is a good cream and priced reasonably but nothing special. I feel I can get the same benefits by applying a regular moisturizer thickly. So I will not buy this again but might try one more night cream to practically know how a night cream differs from regular moisturizer.